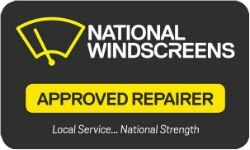 There’s no better choice than National Windscreens when you’re in need of windscreen repair or replacement in Canberra. Our experienced team can help you with everything from minor chips through to shattered windscreens, providing a fast response and a safe, high-quality solution to get you back on the road. Offering a convenient mobile service, we’re proud to be the number one choice for Canberra locals needing professional windscreen services. Our service is fully mobile, meaning we come to you. If your car’s windscreen is unsafe, you won’t have to risk driving it on the roads. We offer after-hours emergency services for windscreen emergencies that occur at inconvenient times. We boast years of experience when it comes to windscreen repair and replacement, providing solutions for all car makes and models. We also offer services for light commercial vehicles and trucks. We can also help with side and rear window replacement and repair. To learn more about our windscreen replacement and repair services or to make a booking, get in touch with our team today. Give us a call on 1300 363 632 for 24/7 assistance across Canberra when and where you need it.